Looking to install a pool but don’t have enough space? 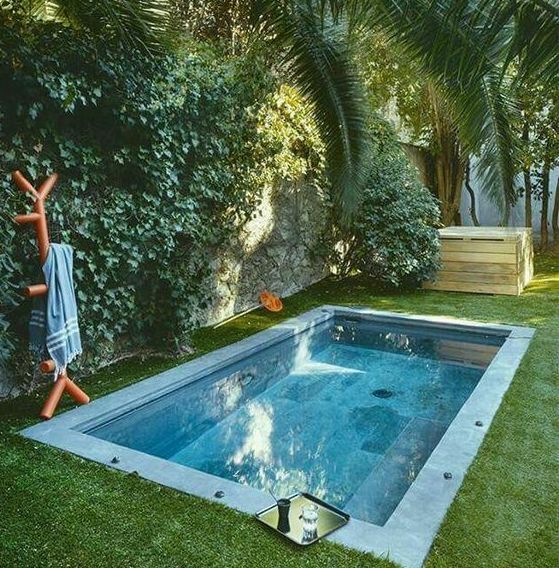 A plunge pool may be the answer to your backyard goals. A small space can make a large impact! 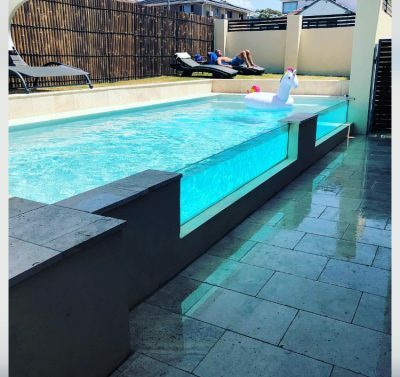 And did you know that a Blue Haven plunge pool comes in multiple structure choices like fibreglass, acrylic, and concrete making it easy to fit into any home environment giving your home a luxurious edge. If you’re looking to make your Summer a great one, then here are some things you should know about plunge pools. With the party season coming up, there’s never been a better time to install a plunge pool. Whether you’re having family over for Christmas, entertaining the grandchildren for Boxing Day, or hosting a party for New Year’s Eve, a plunge pool will give your guests the option to enjoy life’s most important moments in style. A plunge pool is definitely easier and cheaper to heat so the party won’t stop when the sun goes down! Endless Summer is guaranteed when your plunge pool is as hot as a spa! Staying fit and active is crucial to maintaining a healthy life, and what better way to keep working towards your fitness goals than with a plunge pool! Despite common belief, you don’t need a large pool to reap the benefits of an exercise regime. Often many aqua fitness activities take place within small spaces and are just effective. A Blue Haven Plunge Pool can be fitted with a swim jet system so you can enjoy all the benefits of endless swimming without the need of a lap pool! A swim jet system caters for all ages and all stages of fitness and strength. Another popular Blue Haven plunge design is extra depth which gives you plenty of room for aqua aerobic style water treading. With plunge pools being a popular addition to many new homes and households, they are the perfect piece of modern decor. Many customers also opt to renovate their pool spaces or install water features to give their backyard a professional finish. There is no doubt that water is soothing and brings an energy force to your entire space. With options to heat your plunge pool, there has never been a better reason to jump in, even in Winter and late night dipping….. Here at Blue Haven Pools, we offer a range of pool solutions to suit your backyard. 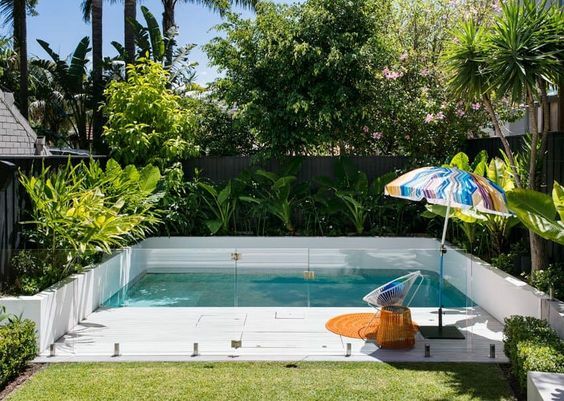 With so many reasons to consider a plunge pool for your home, there’s never been a better time to grab your cozzies… (or no cozzies)…. Get started with a free, no obligation, on-site pool design. Call the friendly team at Blue Haven on 13 20 25 today.